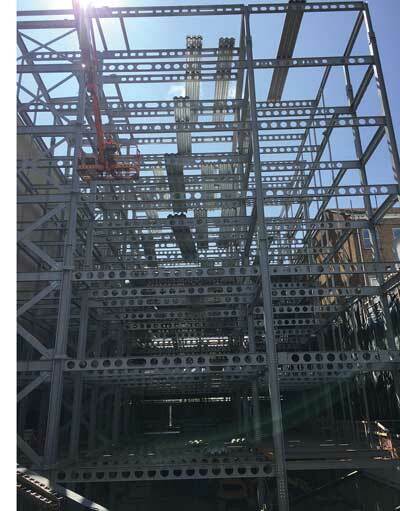 Working on behalf of developer and contractor Dandara, Elland Steel Structures is currently fabricating, supplying and erecting 500t of steel for the 5/6 Esplanade office scheme in St Helier, Jersey. One of a number of ongoing commercial developments currently being undertaken in Jersey, 5/6 Esplanade is a six-storey building which will offer over 4,000m² of prime office space. The steel composite designed scheme also includes approximately 6,100m² of metal decking. Due to complete next year, the building will be clad with pink granite stone in order to blend with the older surrounding structures.